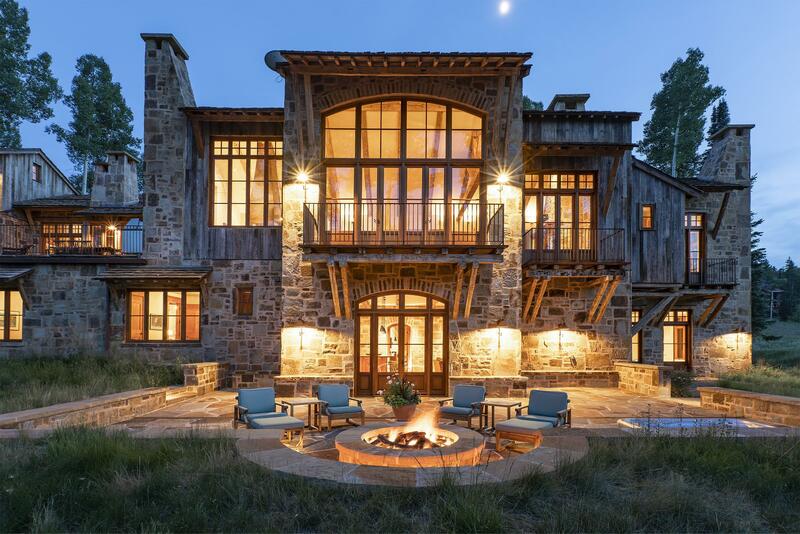 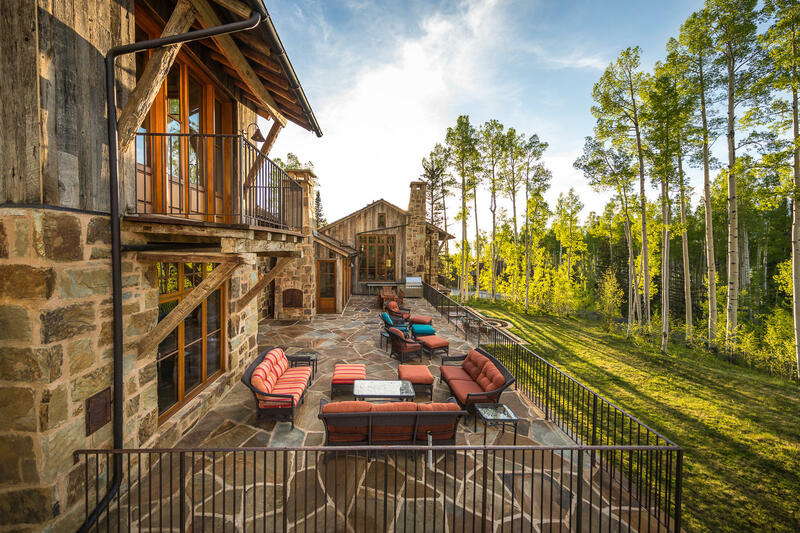 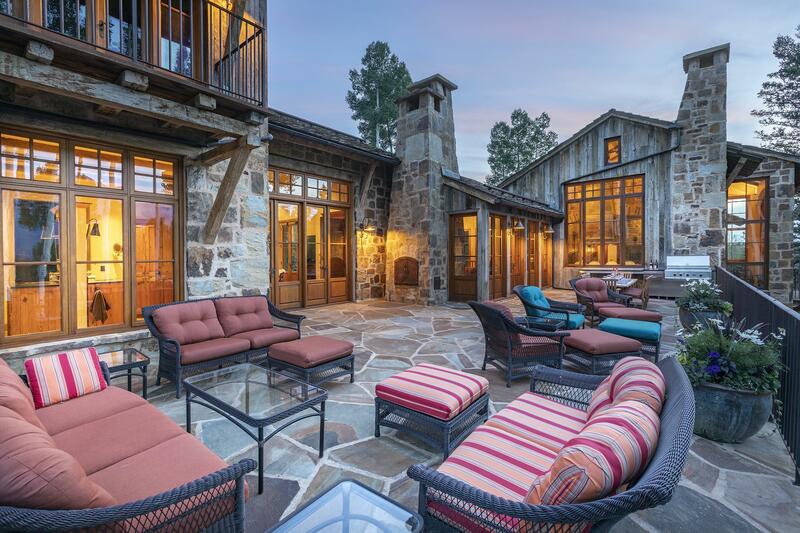 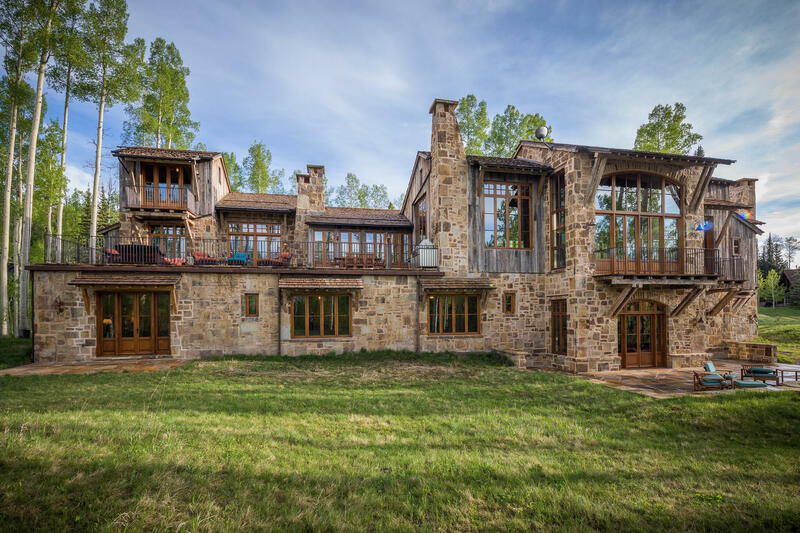 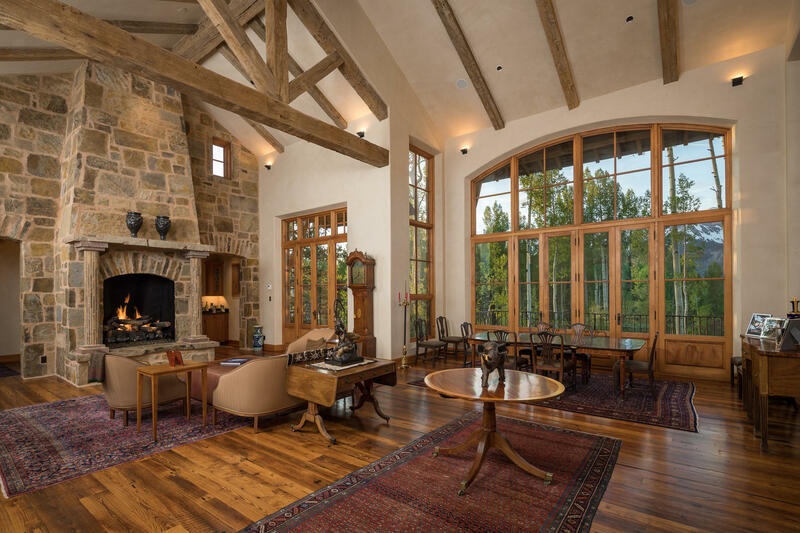 Among the most sought-after ski properties within Mountain Village, 110 Palmyra Drive is a beautifully hand-crafted stone estate reminiscent of a Tuscan farmhouse or Hill Country ranch. 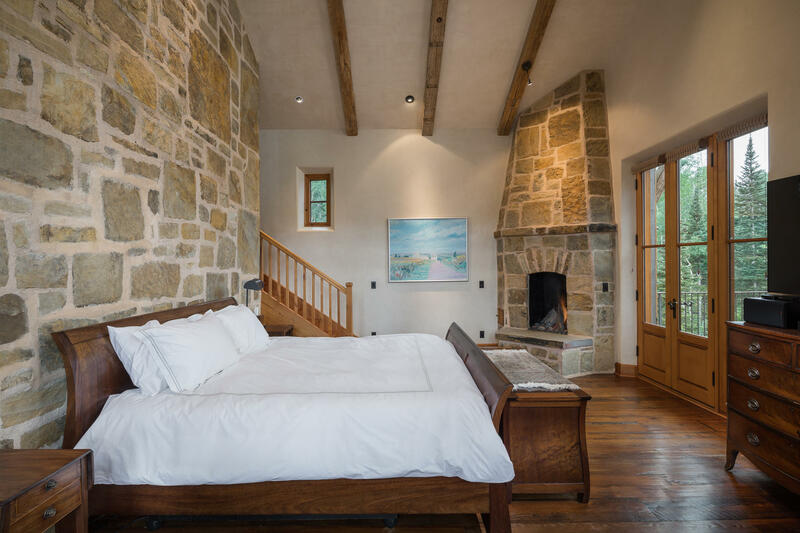 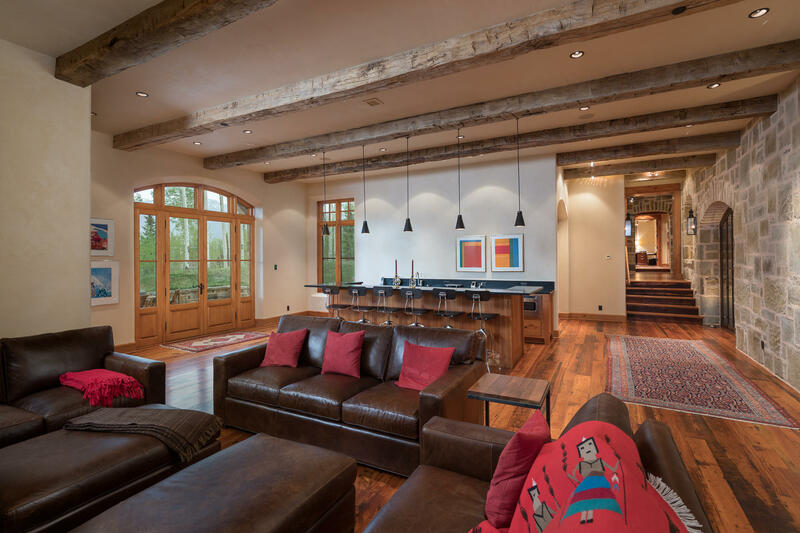 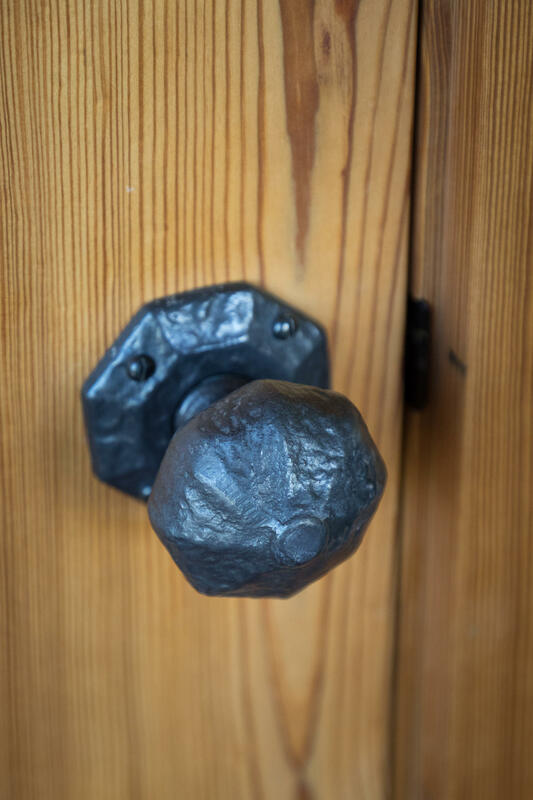 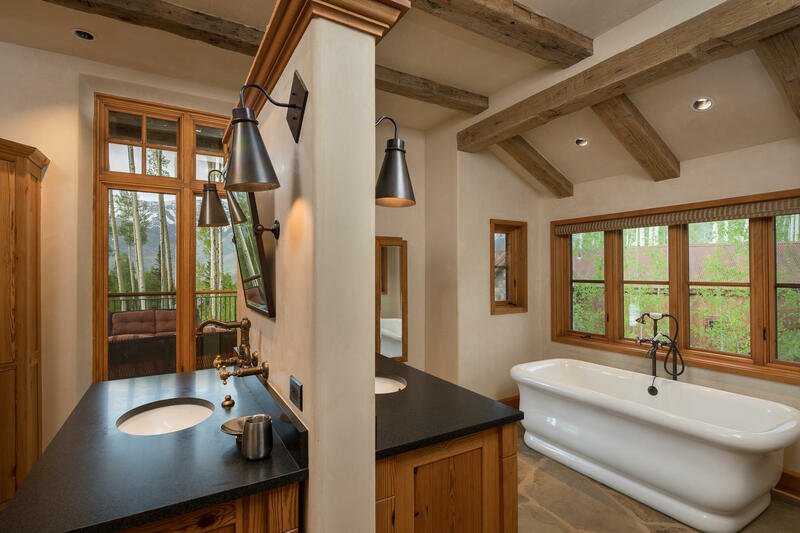 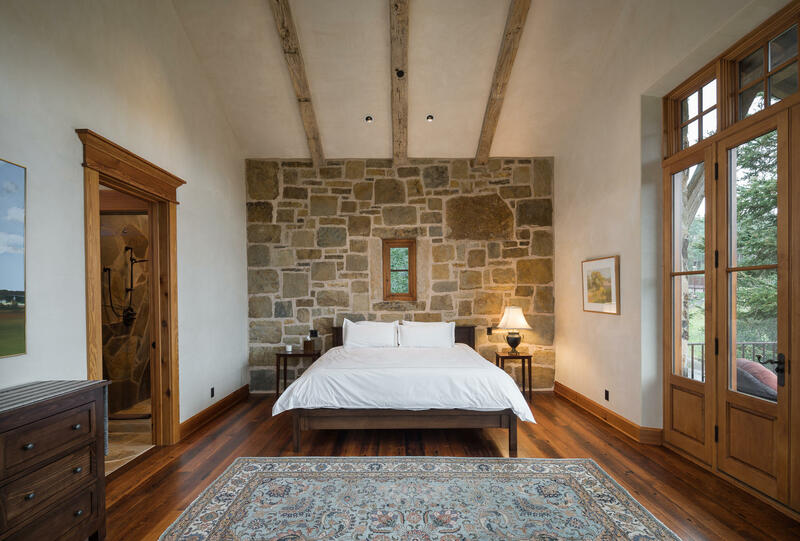 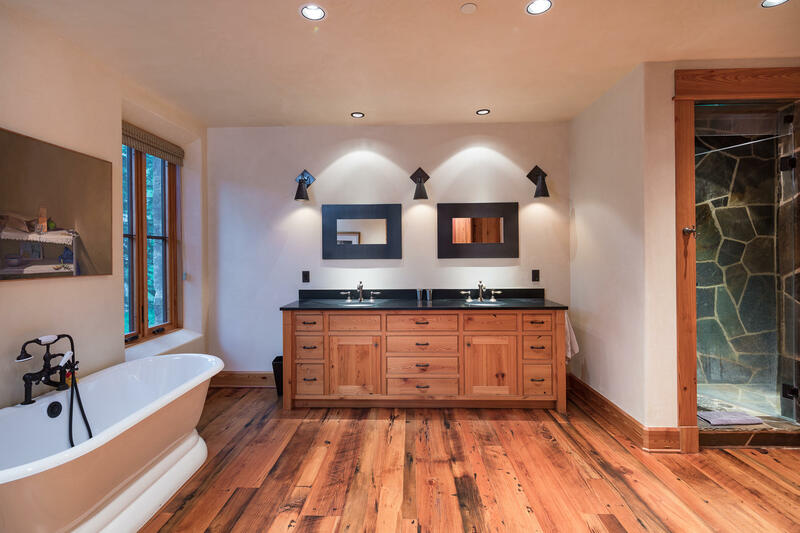 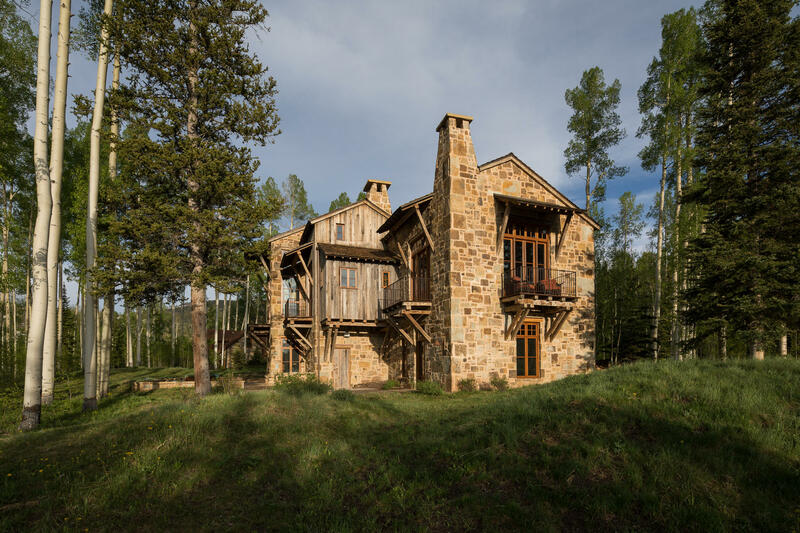 Artfully combining rich antique oak timbers with rugged imported sandstone, the home's interiors are warmly accented with long-leaf pine, clear-grain fir, rough-sawn flooring & tumbled brick. 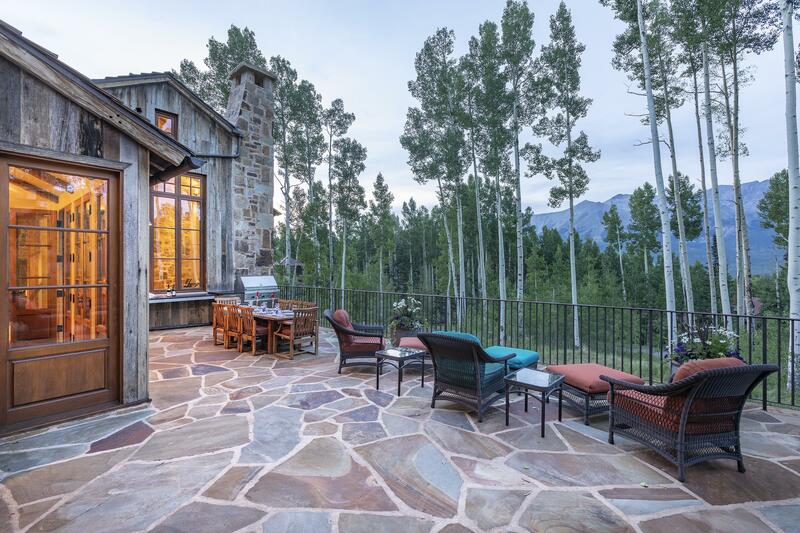 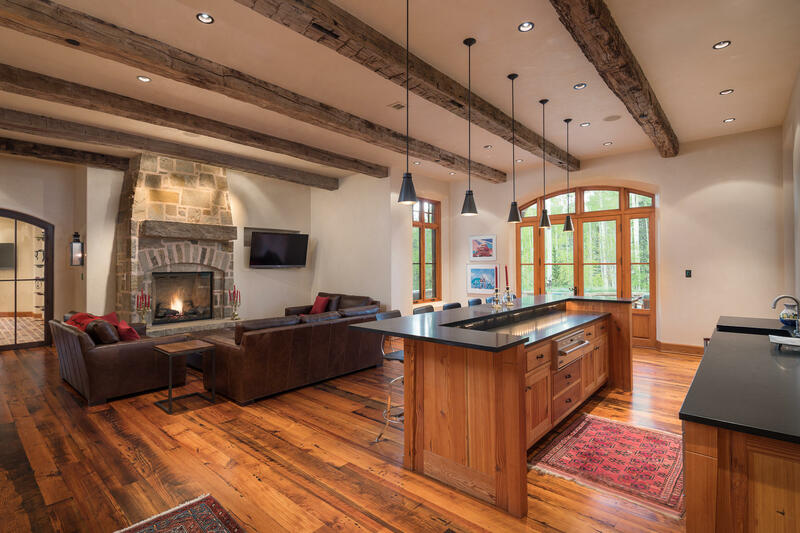 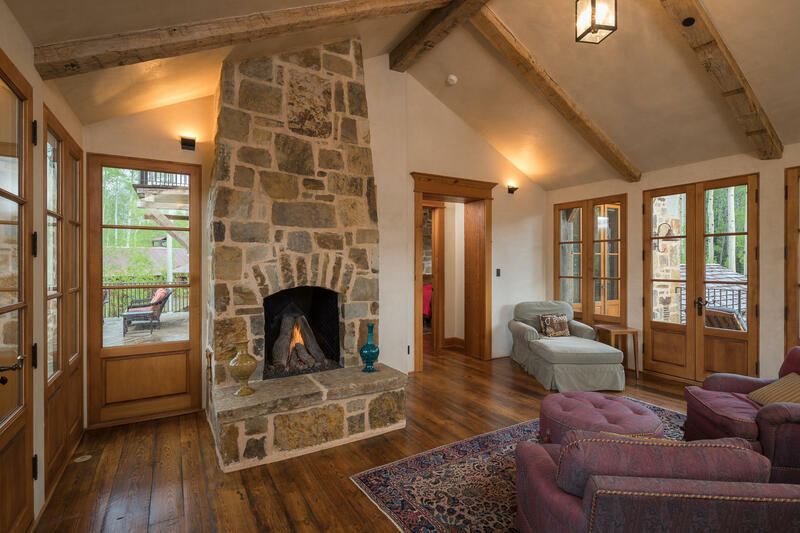 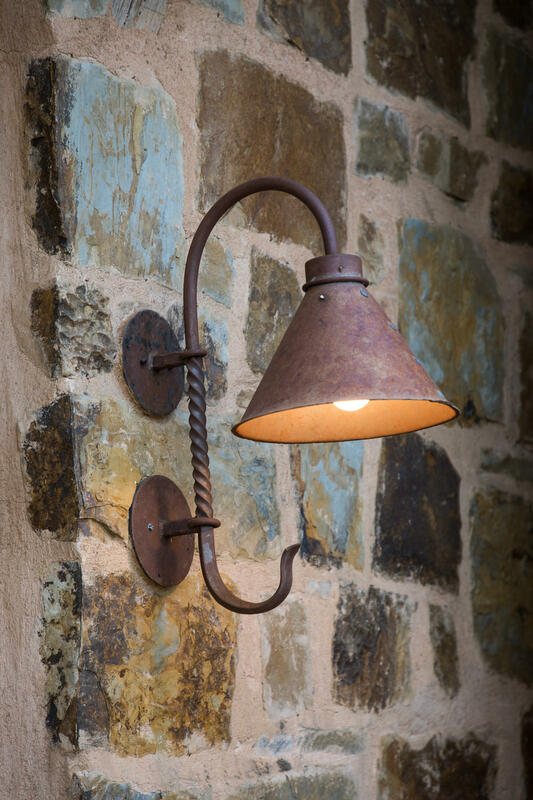 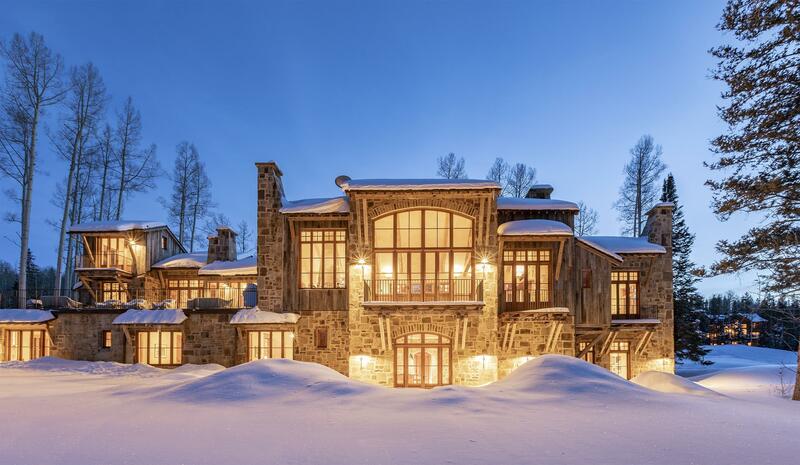 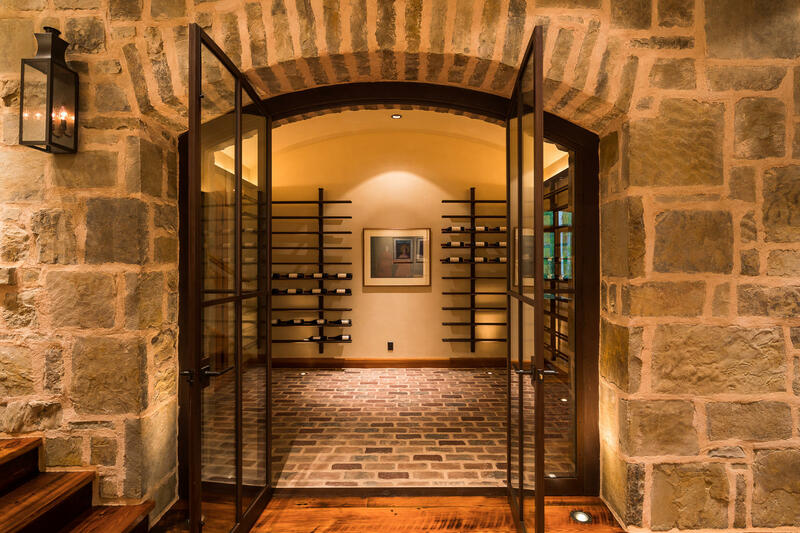 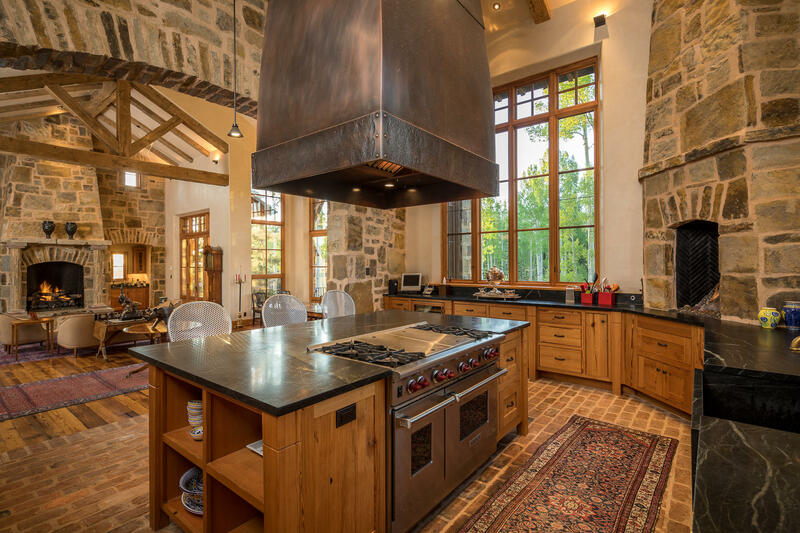 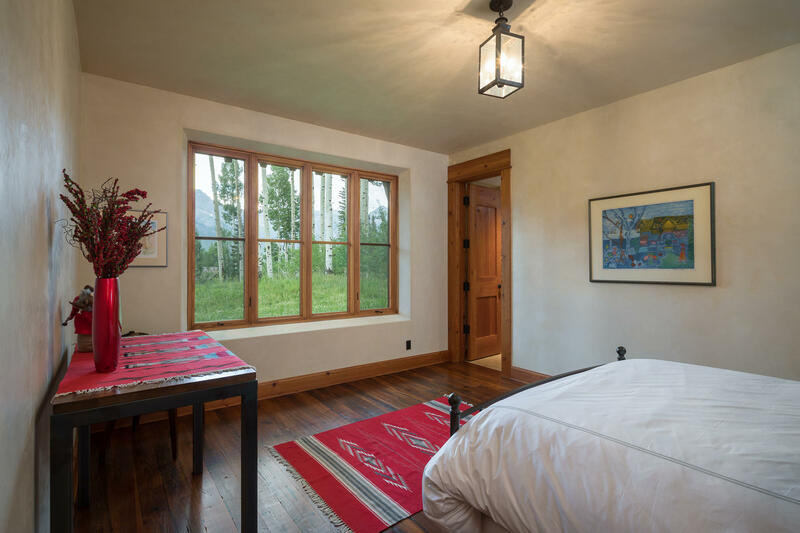 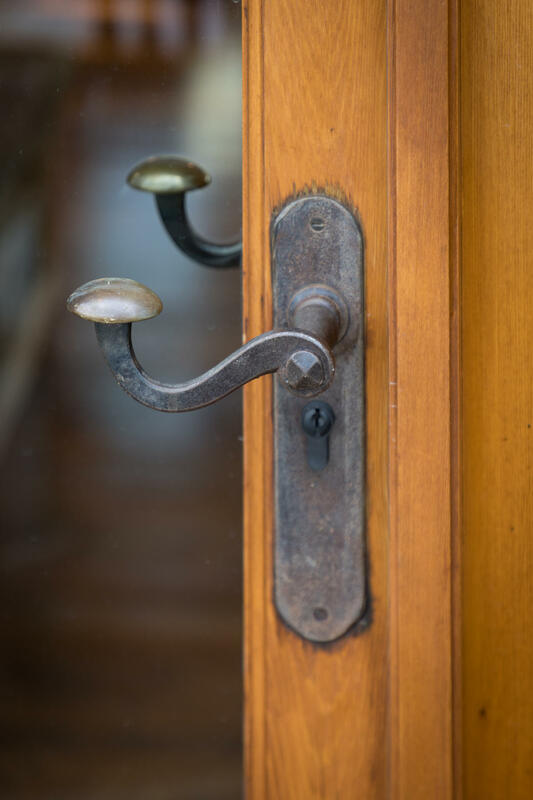 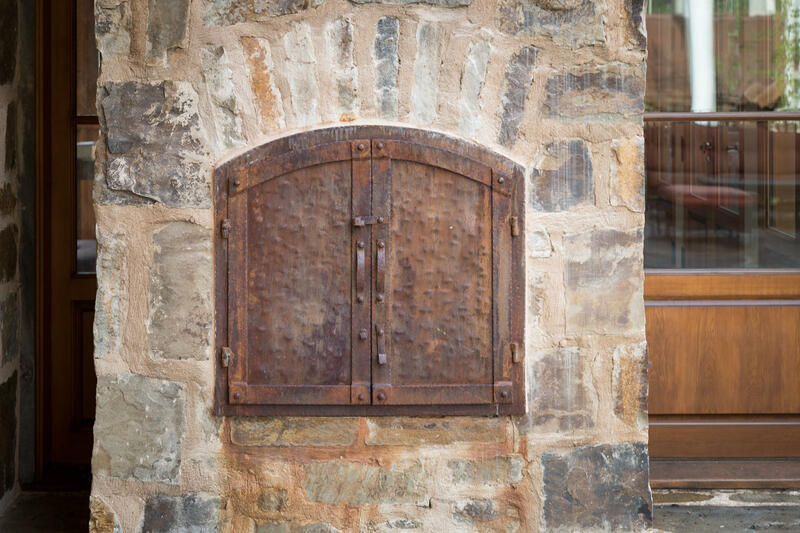 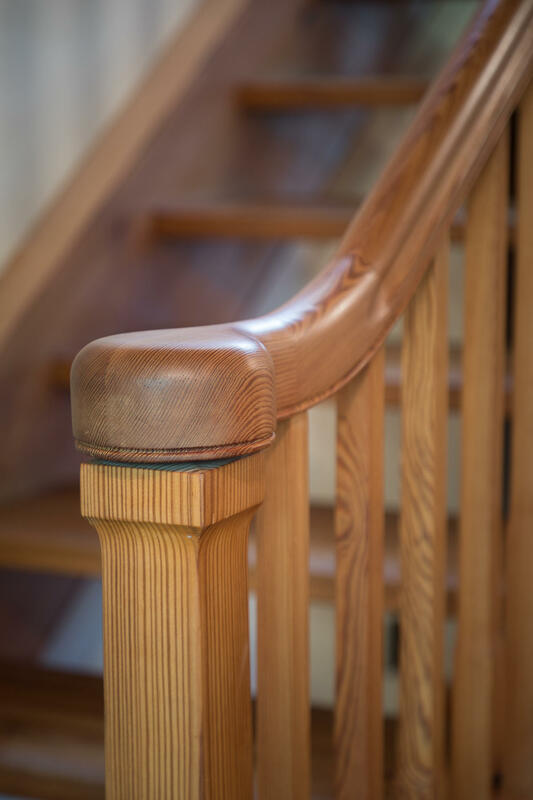 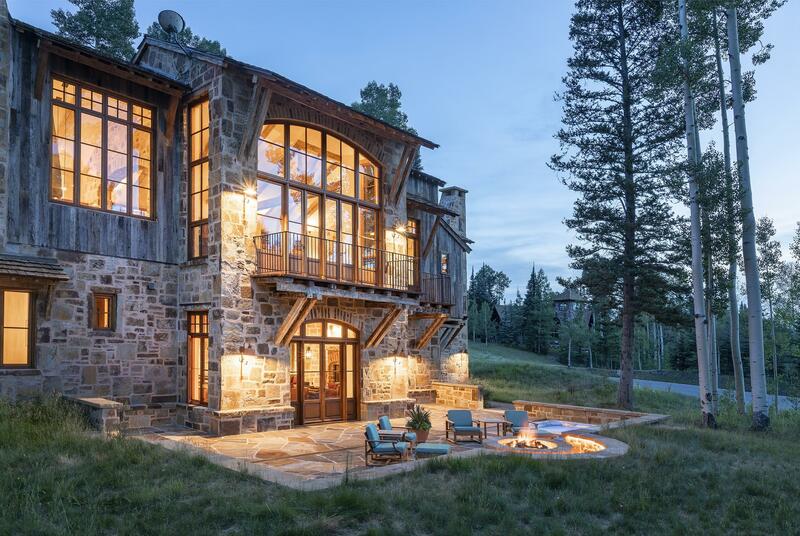 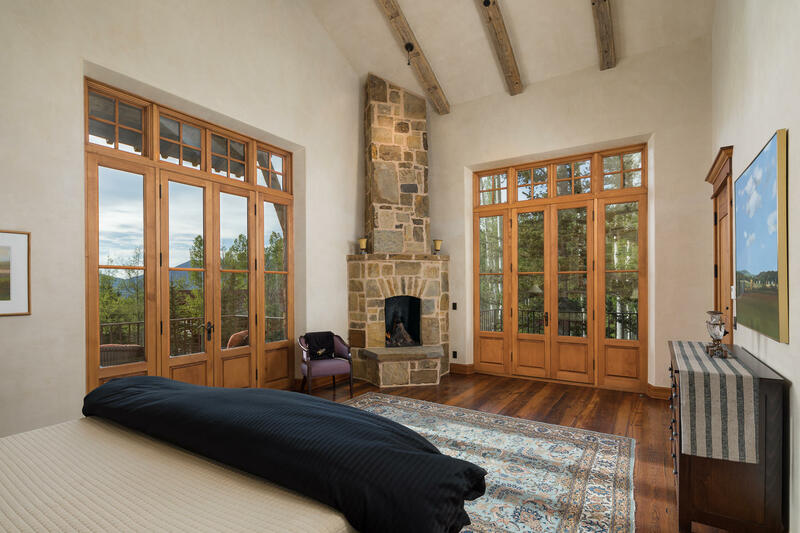 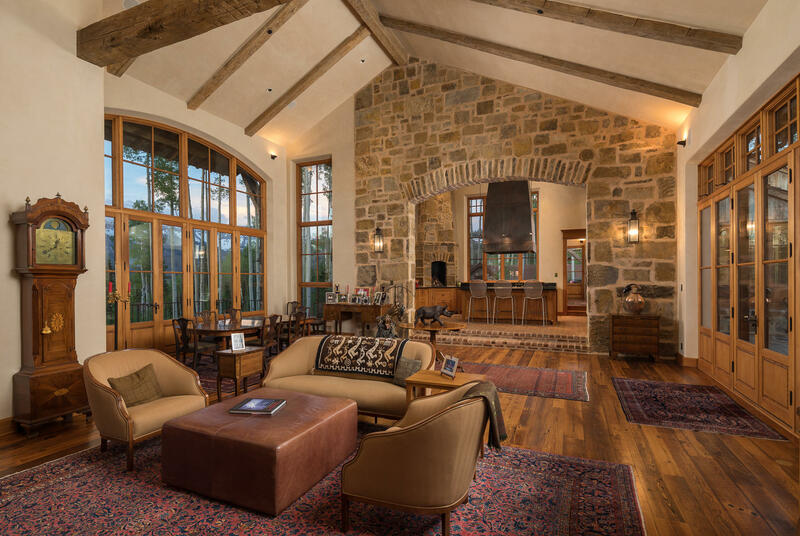 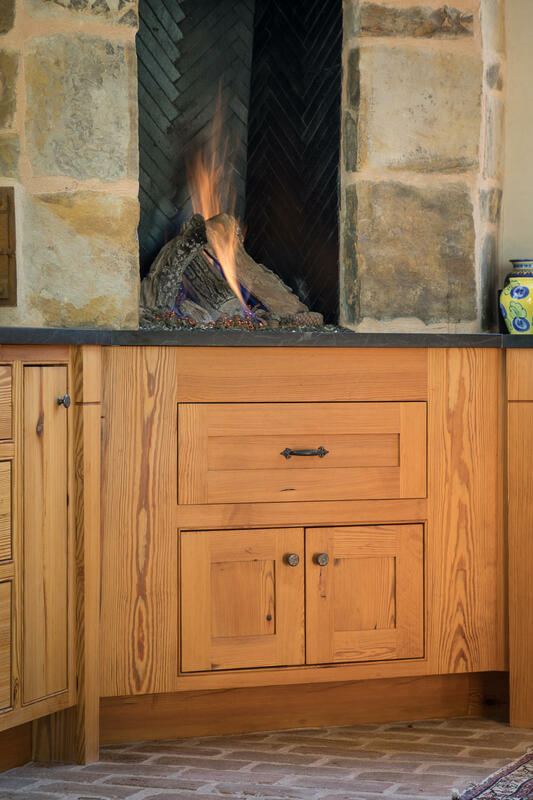 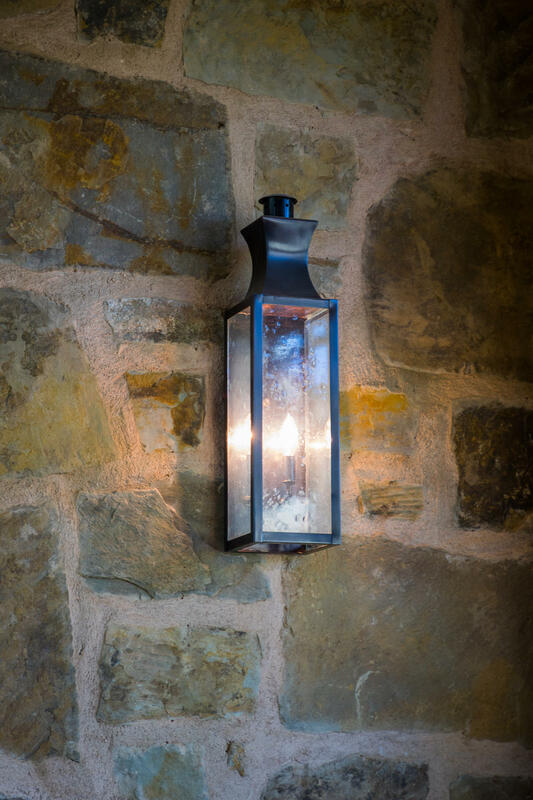 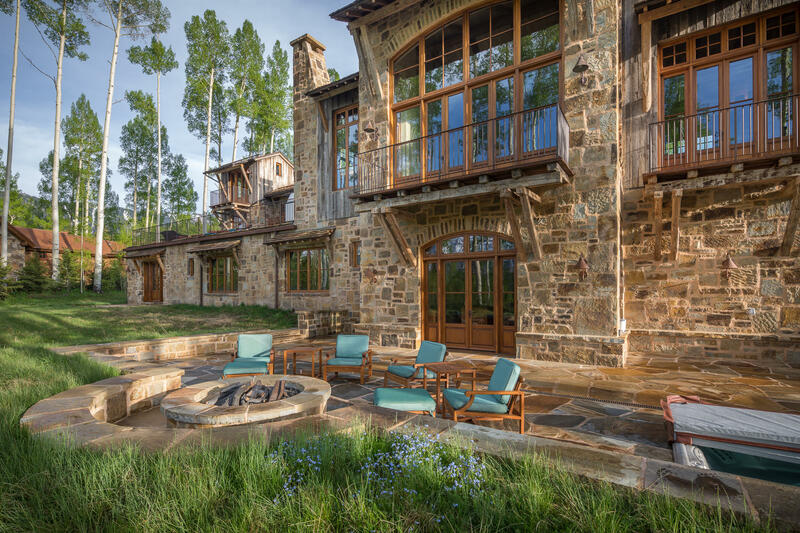 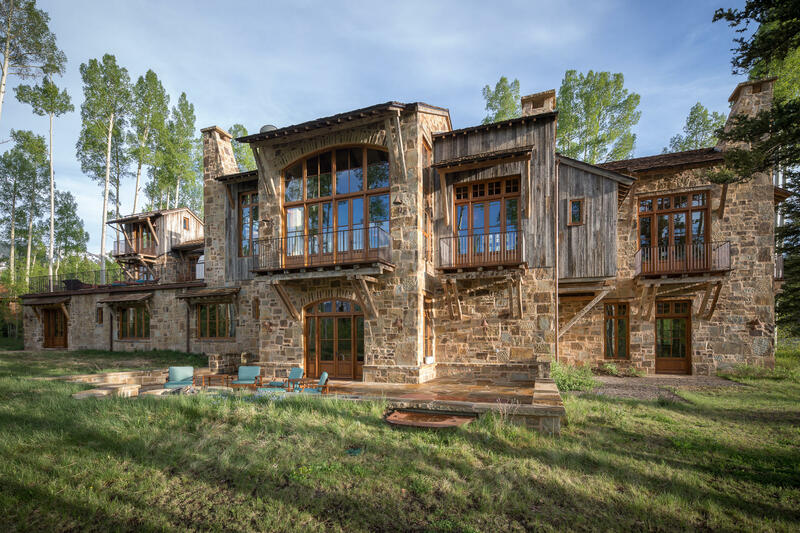 Decorative ironwork & custom-made doors & windows showcase timeless craftsmanship throughout. 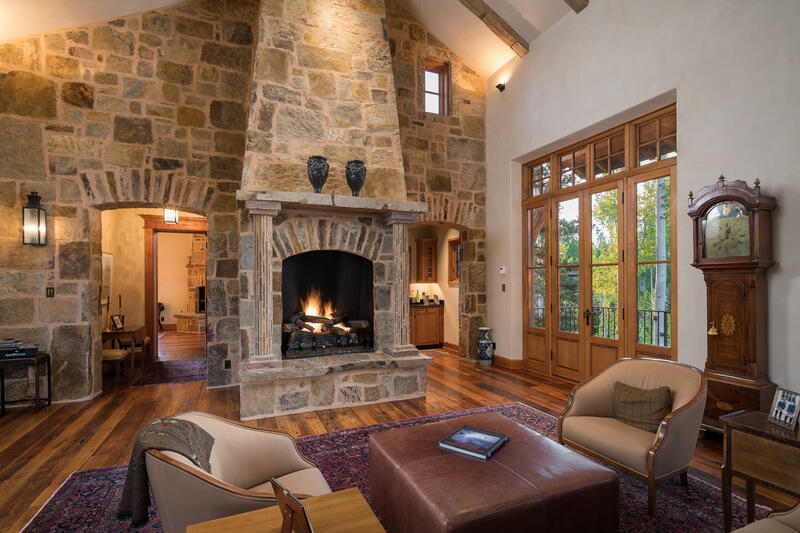 Large entertaining rooms, multiple guest suites & gourmet kitchen feature a total of 8 fireplaces. 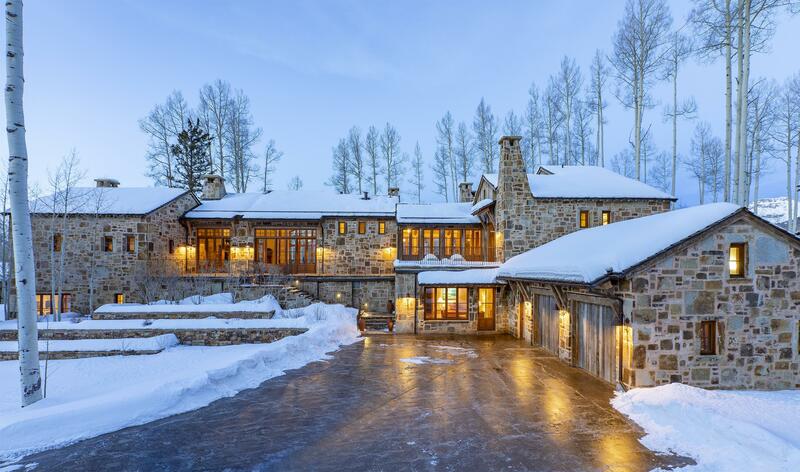 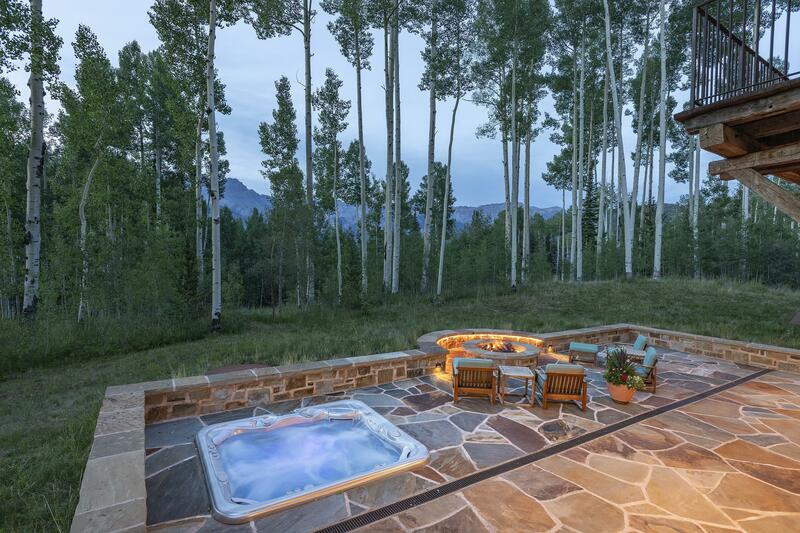 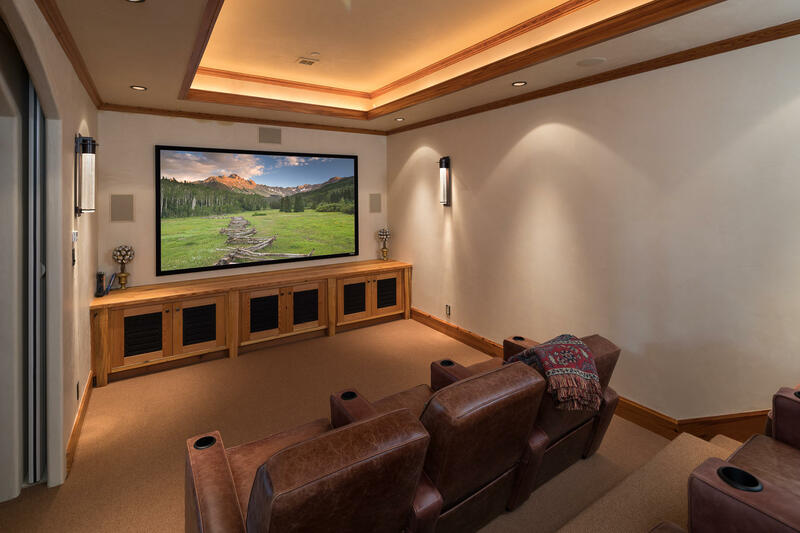 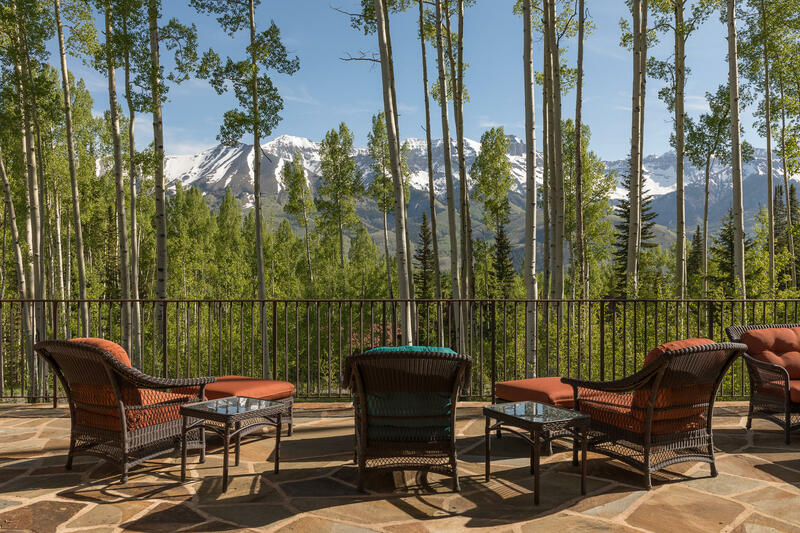 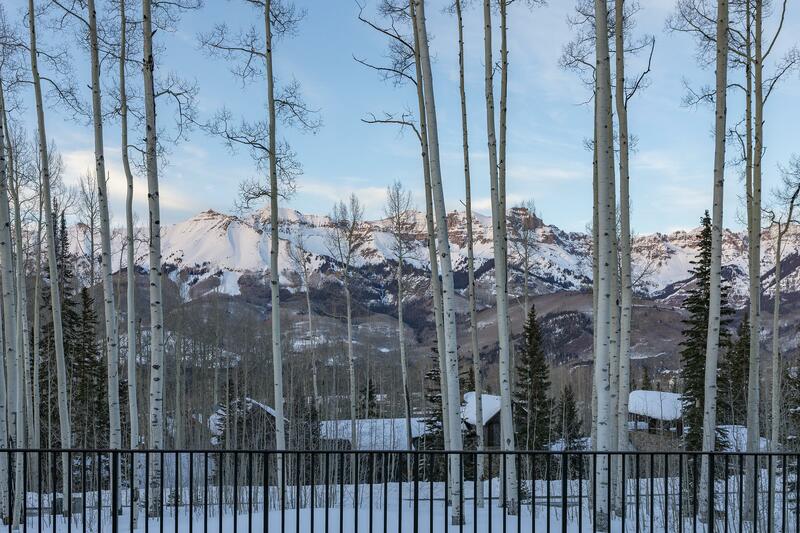 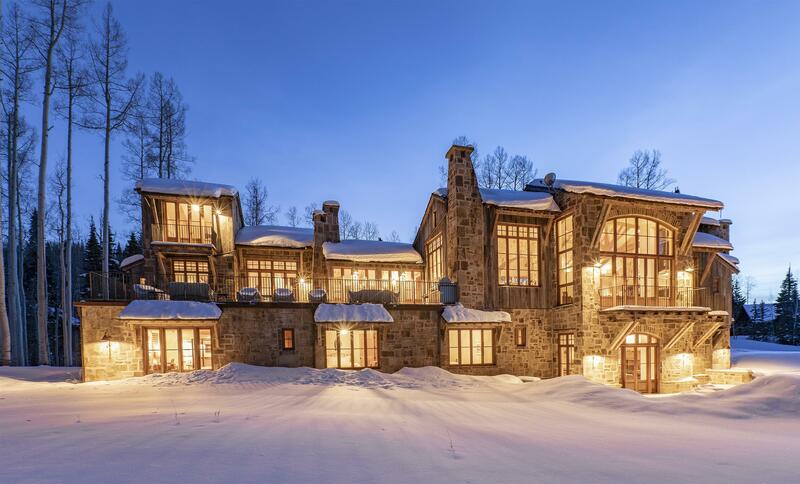 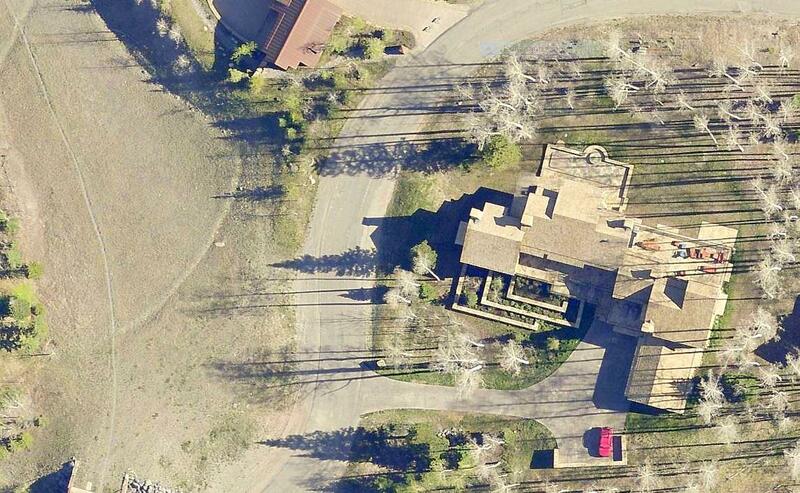 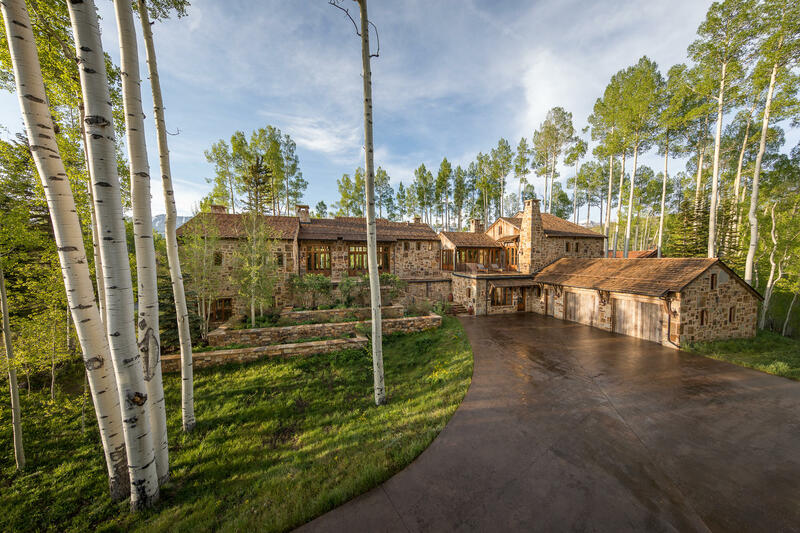 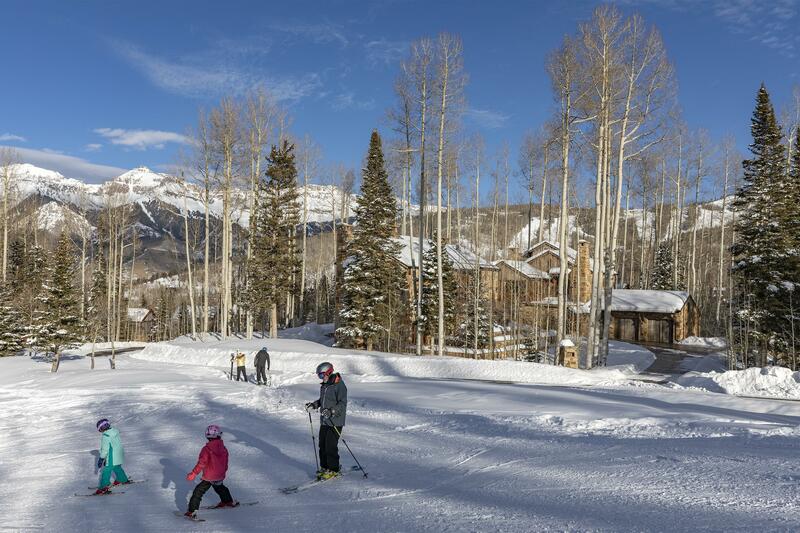 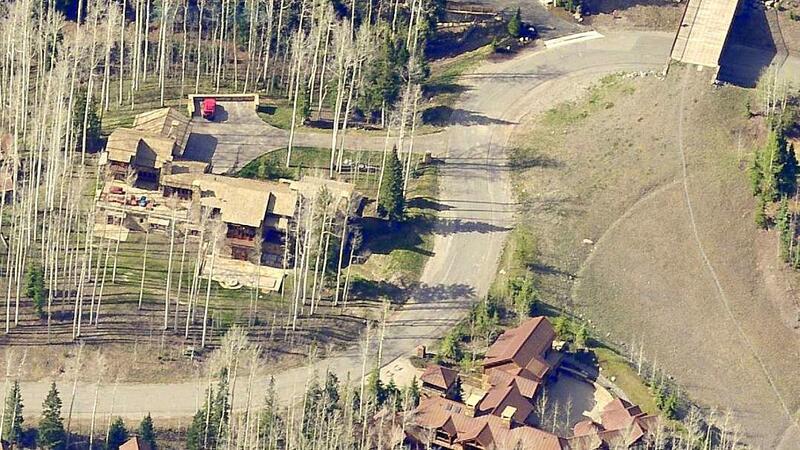 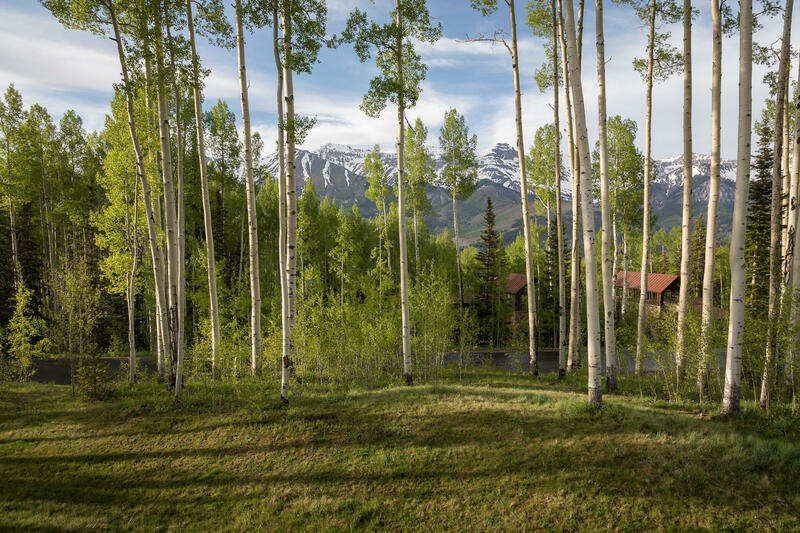 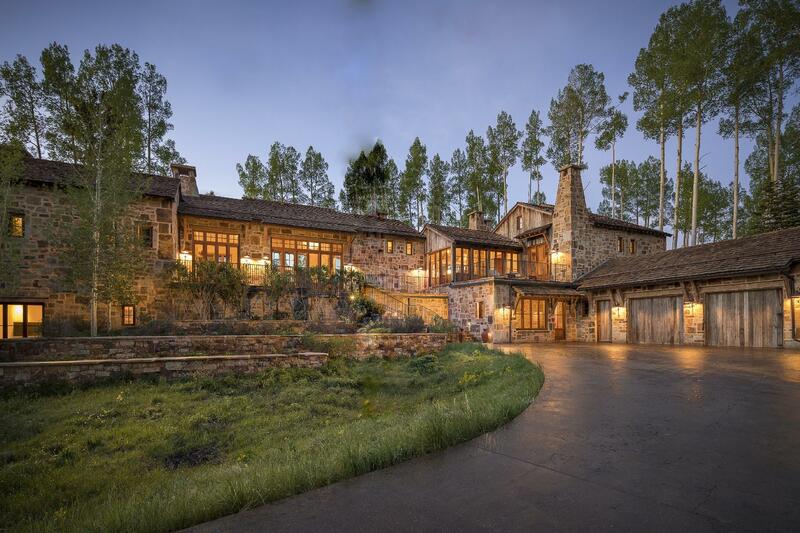 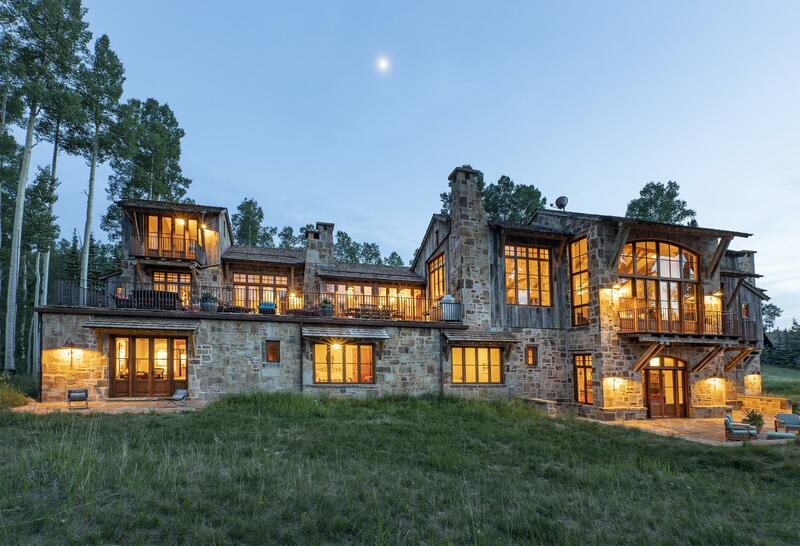 The home's rich interior was expanded since its original sale by roughly 3,000 sq feet to now include a wine cellar, media room, ski / fitness room, recreation area with bar, additional guest suites & outdoor area w/ fire-pit.